I expect that this meter will be very popular, as it will allow people with diabetes to automatically record their glucose values on their iPhones, eliminating the arduous task of manual entry. I would love to hear from patients who are planning on using one or have already tried one about their experiences with them. They will be sold not only at Walgreens but also the Apple store, which is proof about the growing and profound connection between consumer technology and healthcare. People want their healthcare devices to be designed just as elegantly as they want their smartphone or laptop or speakers designed. I’m hopeful that the days of unusable, obtuse healthcare devices will soon be behind us. 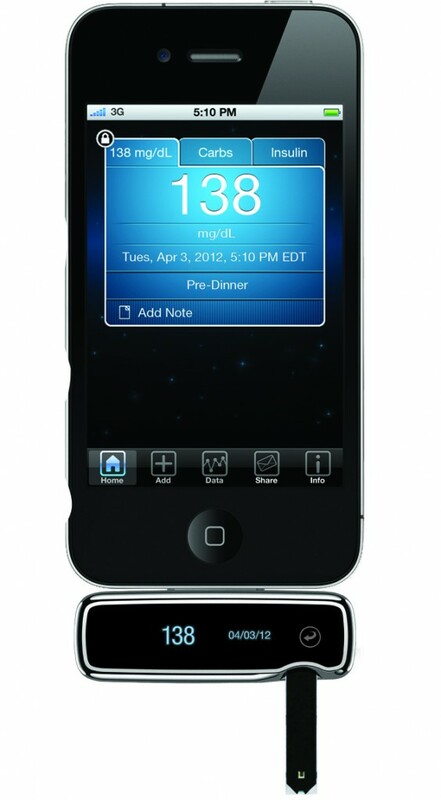 I won’t review this meter, since I haven’t tested one, and there is a very thorough review already here at DiabetesMine. I do want to draw attention to it, however. 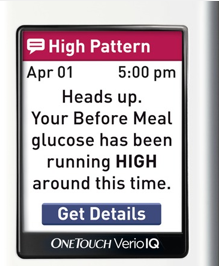 The draw of this meter is that it purports to find patterns in a user’s glucose data and to then give the user feedback and recommendations about how to make changes based on those patterns. In theory, this sounds wonderful. Give feedback to a patient during a “teachable moment,” ie at the moment when the feedback is relevant and someone is most likely to learn from it. 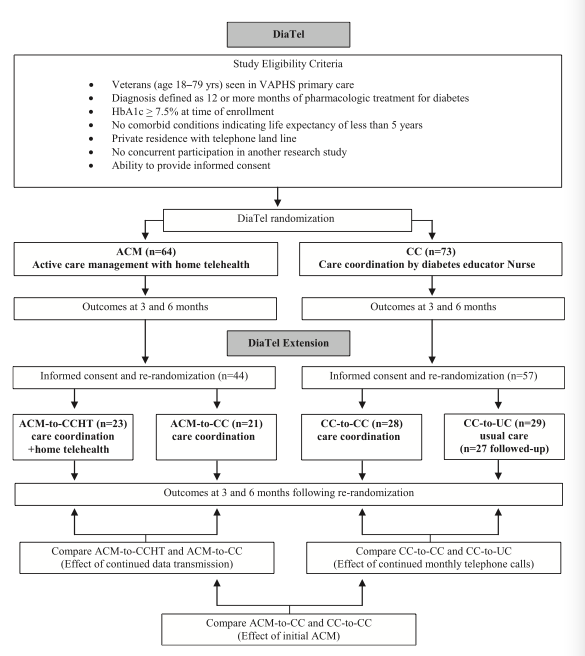 Unfortunately, according to the DiabetesMine review, the actionable recommendations are actually contained in a separate paper book that you have to request. This would significantly detract from the usefulness of the feedback given by the meter. While I haven’t tested this cable or software from Glooko, they seem to be on the right track. Largely for insurance reasons, patients use a wide variety of glucometers. 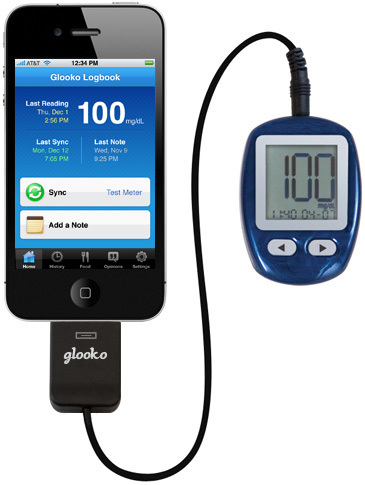 Many patients have one glucometer for home, one for the car, one for work, all different brands. Being able to download all of the data from different devices into one location is very helpful. 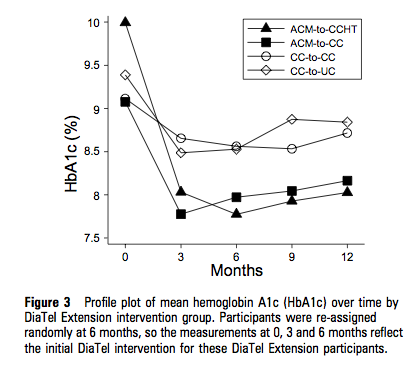 It should make many providers happy that the Glooko app appears to let you display the downloaded data in the format of a traditional paper glucose logbook. While it currently only supports seven meters, they seem to be working on supporting more.